The ability to pull back sent messages in Gmail used to be an experimental Labs plugin, but now it’s a core feature. A whole lot of people must reconsider their e-missives after they send them. 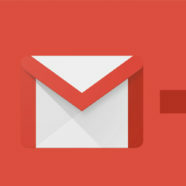 You can “unsend” emails in both Gmail and Inbox by Gmail, but there’s a key difference between the two email experiences. Gmail gives you more options and more time to second-guess that message, but your unsending powers are limited to the desktop version of Gmail. With Inbox, the feature is available on the mobile app and enabled by default, but you’ll generally need to be quicker with that “Undo” finger. In Gmail, you’ll need to make sure the “Undo Send” option is enabled in your settings. It’s only accessible in the desktop/browser version of Gmail. First, click the cog icon in the top right corner. Select Settings from the drop-down menu. Under the “General” tab, scroll about a third of the way down the page and find the “Undo Send” settings. Make sure the box next to “Enable Undo Send” is checked. You can adjust the number of seconds you’ll be able to un-send your message in the drop-down menu below. You can select 5, 10, 20, or 30 seconds. After making your selections, make sure to scroll to the bottom of the Settings menu and click the “Save changes” button. Now, after you send any message, a notification will appear under the search box at the top of your Gmail window. It’ll read “Your message has been sent,” with a clickable link to undo the send right next to that text. Click “Undo” to un-send any message. In Inbox, the Undo feature is active by default. However, you only have about seven seconds to decide whether you want to pull the message back. The “Undo” option also appears in a different place: In the bottom left corner of the screen in the desktop/browser version, and at the bottom of the screen in the mobile apps.